In a recent Globe and Mail article, CNN’s reporter Farheed Zakaria posits the tough question, “Is liberal-arts education more than a nostalgia for a bygone era of higher learning, now out of sync with today’s hyper-competitive skills-based economies?” Such questions are also posed by many powerful influencers today. In a different issue of the Globe, Alan Wildeman, President and vice-chancellor of University of Windsor, adjures us in an article entitled “We ignore liberal arts at our peril” where he argues that the liberal arts is essential for civility, democracy, wise decision-making and competence in the job world. As a multicultural country playing in the global arena, Canada needs a citizenry that learns and studies human differences, social behaviors and cultural traditions. Indeed, does higher education encourage the pursuit of character development together with academic excellence? Is it innovative, socially relevant and sustainable? Does it prepare students for negotiating an increasingly complex and competitive globalized world? What will inspire and engage their imagination in the pursuit of active citizenship and civil discourse? Post-secondary education has a huge cultural and economic influence in Canada. It shapes the future, while building on a critical appreciation of the past. 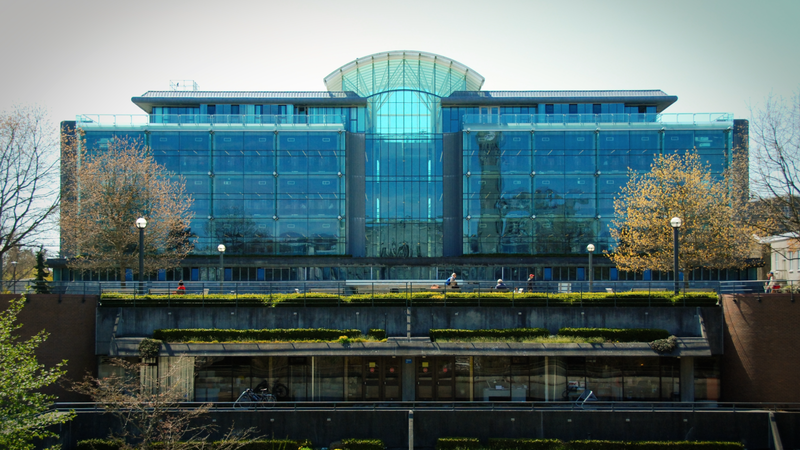 In its community, UBC Vancouver has 10,000 postgraduate and 41,000 undergraduate students from around the world. They come with high hopes for skill and credential development, and long to contribute to meaningful research and to acquire good future careers. A large percentage hope to make a better world. Education seems essential for both self-awareness and global awareness. At the same time, globally education is under intense pressure from various forces (intrinsic and extrinsic), currently pulling it in different directions, amidst conflicting public and political expectations. In the early history of universities like Oxford and Cambridge, Harvard and Yale, Queen’s and McGill, character development was a central priority. It is timely for this panel to reflect upon the purpose and trajectory of the contemporary university, and the goods it is to pursue. Jens Zimmermann, Canada Research Chair for Interpretation, Religion, and Culture at Trinity Western University, received his Ph.D. in Comparative Literature from UBC and his Doctorate in Philosophy from the Johannes Gutenberg University in Mainz, Germany. His research interests in include continental philosophy (especially hermeneutics), theological anthropology, the theology of Dietrich Bonhoeffer, and Christian humanism. He is author of Humanism and Religion: A Call For the Renewal of Western Culture (OUP 2012), and more recently of Hermeneutics: A Very Short Introduction, also with Oxford University Press. Dr. Emily Osborne is currently a SSHRC-postdoctoral fellow in the Department of English, University of British Columbia. She received her PhD and MPhil from Cambridge University, where she studied medieval English, Icelandic and Scandinavian languages and literature. Her current research is interdisciplinary and transcultural, spanning literature from the seventh to fifteenth centuries in four languages, and engaging with sociolinguistics and philosophy of mind. Her academic publications and research projects are concerned with the history of rhetoric, poetic theory and metaphor theory, intentionality, and speech acts. Bruce Hindmarsh took his D.Phil. degree in theology at Oxford University in 1993. From 1995 to 1997 he was also a research fellow at Christ Church, Oxford. He has since published and spoken widely to international audiences on the history of early British evangelicalism. He is the author of two major books: John Newton and the English Evangelical Tradition (Oxford University Press, 1996) and The Evangelical Conversion Narrative (Oxford University Press, 2005). Bruce has been the recipient of numerous teaching awards, research grants and fellowships. He has been a Mayers Research Fellow at the Huntington Library and a holder of the Henry Luce III Theological Fellowship. A fellow of the Royal Historical Society, he is also a past-president of the American Society of Church History. He teaches the history of Christian spirituality at Regent College. Ron Dart has taught in the department of political science, philosophy, religious studies at University of the Fraser Valley since 1990. He was on staff with Amnesty International in the 1980s. Ron has published more than 30 books/booklets, including books on Stephen Leacock, George Grant and the classical Canadian Red Tory tradition. http://www.nationalpost.com/m/related/Todd+higher+education+rediscover+soul/6755035/story.html Douglas Todd, Can Higher Education Rediscover its ‘Soul’? Clark Kerr, The Uses of the University. Hans Georg Gadamer, Truth and Method. Howard Gardner, 5 Minds for the Future. Isaac Asimov, The Roving Mind. Michael Polanyi, Personal Knowledge:Towards a Post-Critical Philosophy. Brad Gregory, The Unexpected Reformation: how a religious revolution secularized society. John Henry Newman, The Idea of a University. George Marsden, The Soul of the American University: from Protestant establishment to established nonbelief. Harry Lewis, Excellence Without a Soul: Does Liberal Education have a Future? Sir Ken Robinson, The Element: How Finding Your Passion Changes Everything. Douglas V. Henry and Michael Beaty (eds. ), Christianity and the Soul of the University: Faith as a Foundation for Intellectual Community. Timothy W. Burns and Peter Augustine Lawler, The Future of Liberal Education. Anthony Kronman, Education’s End: Why Our Colleges and Universities Have Given Up on the Meaning of Life. Martha Nussbaum, Not for Profit: Why Democracy Needs the Humanities. (Princeton, 2010). David Lyle Jeffrey and Dominic Manganiello, Rethinking The Future of the University. Jeffrey Selling, College (Un)Bound: the future of higher education. John Somerville, The Decline of the Secular University. John Cobb Jr., Spiritual Bankruptcy. Douglas Thomas and John Seely Brown, A New Culture of Learning: Cultivating the Imagination for a World of Constant Change. Anya Kamenetz, DIY U: The Transformation of Higher Education. Elizabeth Losh, The War on Learning: Gaining Ground in the Digital University. Alexander W. Austin and Helen Austin, Beyond 2020: Envisioning the Future of the University in America. R. L. Geigler and C. L. Colbeck, Future of the American Public Research University. Josef A. Mestenhauser, Reflections on the Past, Present and Future of Internationalizing of Higher Education: Discovering Opportunities to Meet the Challenges. How does the pursuit of wisdom relate to developing job skills and work fitness? What are the sources of such wisdom? What does it mean to become a cultured individual? What does it mean to become robustly personal and relational? What is the relationship between knowledge and deeper understanding of life? What is the role of contemplation? Does one’s development have anything to do with a consciousness of social benefit and the common good? Are there key questions, human questions, that science cannot even begin to ask? Can science provide an adequate worldview? How do we discern between good science and the ideology of scientism? What does personal formation have to do with education: fostering curiosity, wise judgment, humility and openness? What cardinal intellectual and social virtues should we be pursuing and where are they sourced? Where are the models or exemplars for such virtues? What role do universities have in shaping leaders for society? How do students develop into good citizens and learn to negotiate key issues on the international stage? What is our responsibility to preserve the long history of the academic heritage? What is the rich content of the good life we are pursuing through education? What is a thick definition of education? How do we learn to use technology wisely as a tool towards good ends, without being consumed by the ideology of technologism? Is there a place for religious and theological reflection in shaping the future task of the university? How does this contribute to the knowledge and life skills we need to live well?